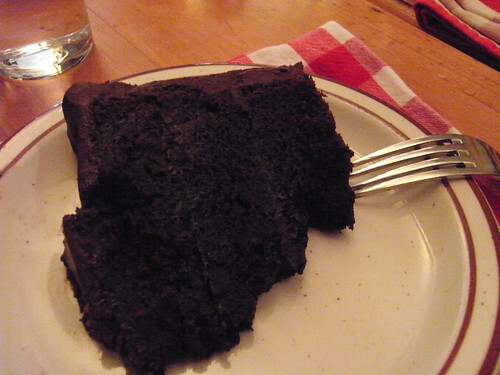 The birthday cake was brought in from the esteemed The Chocolate Room in Brooklyn. Decadent and delicious indeed. A must for chocolate lovers, but slightly too much chocolate for us two. Could have used a dollop of whipped cream, ice cream, or a glass of milk to cut the sweetness. Happy Earth Day. Oh yeah, I've had that exact cake, I needed a big cup of coffee to deal with it.